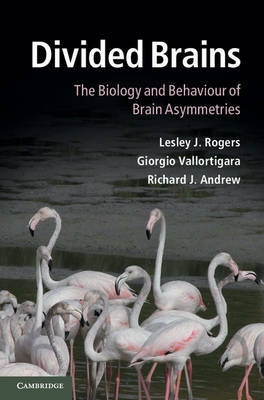 Author(s) Rogers, Lesley J.; Vallortigara, Giorgio; Andrew, Richard J.
Asymmetry of the brain and behaviour (lateralization) has traditionally been considered unique to humans. However, research has shown that this phenomenon is widespread throughout the vertebrate kingdom and found even in some invertebrate species. A similar basic plan of organisation exists across vertebrates. Summarising the evidence and highlighting research from the last twenty years, the authors discuss lateralization from four perspectives - function, evolution, development and causation - covering a wide range of animals, including humans. The evolution of lateralization is traced from our earliest ancestors, through fish and reptiles to birds and mammals. The benefits of having a divided brain are discussed, as well as the influence of experience on its development. A final chapter discusses outstanding problems and areas for further investigation. Experts in this field, the authors present the latest scientific knowledge clearly and engagingly, making this a valuable tool for anyone interested in the biology and behaviour of brain asymmetries.